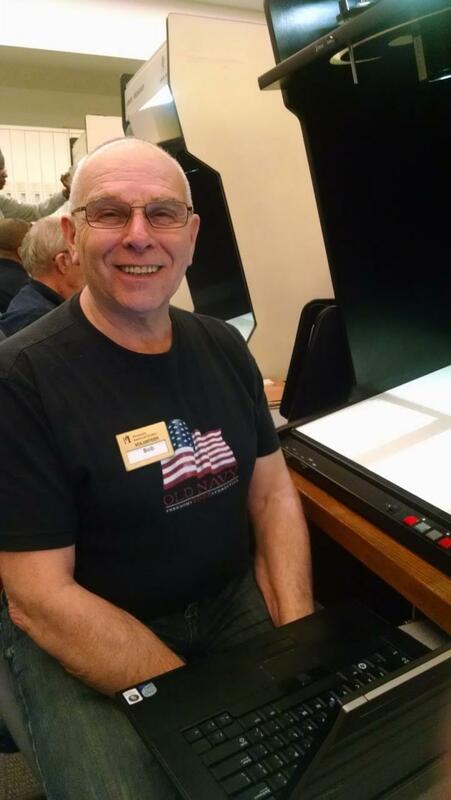 Bob has been volunteering for the State Archives for over a year with nearly 2,000 hours, and he is a fantastic, enthusiastic, and conscientious worker. Bob is responsible for responding to comments people leave on Death Certificate Index entries in the People Records Search, and he very capably handles many different types of requests very promptly. Some of these comments involve: fixing transcription errors, investigating information in the index that may be incorrect, helping with ordering a certificate, and referring people to the Reference department, among others. He also spends his time routinely cleaning up data in the birth and death certificate index, so that they are more accurate and easier to use, and so that patrons are able to more quickly find who they're looking for in our system. His background as an experienced genealogist and his IT know-how make him perfectly suited to these tasks, and the Birth and Death Certificate Index is more accurate, thanks to his tireless work. A special accomplishment of Bob’s has been improving one year of death certificates in particular, on top of his regular duties- for some reason, the 1996 deaths on our index have many more duplicate and missing entries than other years. Bob started working on this almost a year ago, and is now over 80% done!